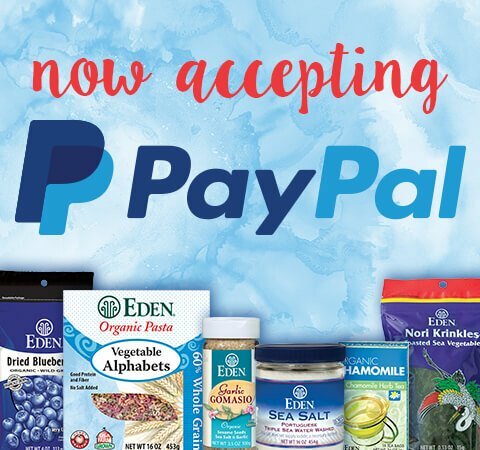 Eden Organic Garbanzo Beans are U.S.A. family organically grown by those dedicated to cleansing the environment and producing the best tasting, most nutritious food. Decades organic vital soil gives us much more vital beans that contain more minerals and allows us to cook them without, what we consider toxic, 'processing' chemicals. Garbanzo Beans Cicer arietinum, aka 'chick peas', are plump, round, golden beans. Eden Garbanzo Beans are expertly prepared at our certified organic, kosher cannery in east central Indiana. They are washed, soaked overnight, and thoroughly cooked with a bit of kombu sea vegetable. You don't taste the kombu, but its natural glutamic acid softens and enhances the flavor of beans. 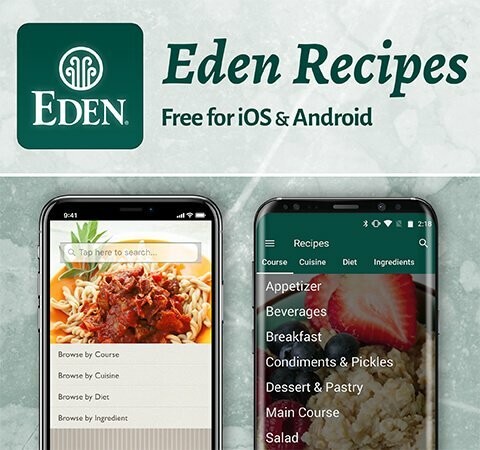 All water that contacts Eden beans for washing, soaking, and cooking is purified water. 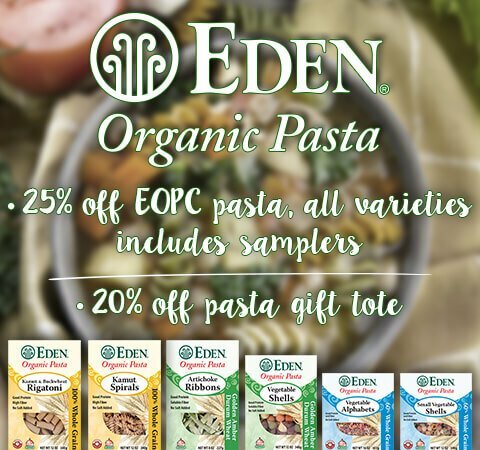 Eden Organic Beans are in custom made steel cans lined with baked on oleoresinous c-enamel that does not contain the endocrine disrupter chemical bisphenol-A(BPA). Oleoresin is a natural mixture of an oil and a resin extracted from plants such as pine or balsam fir. These cans cost 14% more than industry standard cans that do contain BPA. The can maker, Ball Corporation, tells us that Eden is the only U.S. food maker to date to use these BPA free cans. Eden Foods was acknowledged with a "Green Packy Award" in 2010 by Whole Foods Market Green Mission's Responsible Packaging Forum. The responsible packaging award was given Eden for the use of BPA-free cans in all 39 of its organic beans, chilies, rice & beans, refried, and seasoned beans. According to the FDA, "Low fat diets rich in fruits and vegetables (foods that are low in fat and may contain dietary fiber, Vitamin A, or Vitamin C) may reduce the risk of some types of cancer, a disease associated with many factors," and "Diets low in sodium may reduce the risk of high blood pressure, a disease associated with many factors." Eden Organic Garbanzo Beans are low fat, an excellent source of important fiber and folate B9, have zero salt added, and provide protein, magnesium, and copper. Studies show beans contain a wealth of antioxidants similar to those in fruits and berries. "Beans are really loaded with antioxidant compounds," said Clifford Beninger, Ph.D., an environmental biologist and former researcher for the USDA's Bean Research Unit. "We didn't know how potent they were until now." Researchers tested the antioxidant activity of flavonoids found in 12 common varieties of dry beans. They found one class of compounds in particular, anthocyanins, were the most active antioxidants in beans. These findings add antioxidant activity to a growing list of healthy compounds found in beans and legumes. The study was published in the Journal of Agricultural and Food Chemistry. "Beans are probably the best human plant food there is," plant geneticist George L. Hosfield, Ph.D., told Reuters Health. He explained that beans are full of protein and fiber and low in fat. They also contain important vitamins and minerals such as folic acid, iron, potassium, and zinc. "With the additional bonus of their antioxidants, you have almost the perfect food," he said. Beans are loaded with beneficial soluble fiber and are also an important source of two essential amino acids not found in cereals, lysine and threonine. In turn, whole grains complement beans and together deliver complete protein. Enjoying a variety of beans in combination with whole grain is a good step toward healthy living. 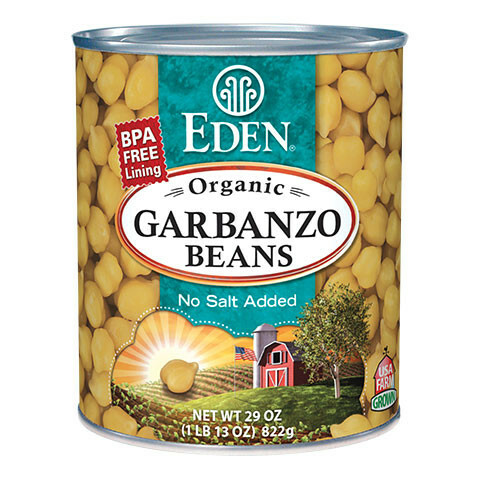 Eden Organic Garbanzo Beans are also available in 15 oz. and 108 oz. BPA free cans, plus dry in 1 pound boxes. They are the perfect salad bean and great in soups, stews, casseroles, curries, grain burgers, and croquettes. Essential for Hummus blended with sesame tahini or sesame butter, garlic, lemon, and Eden Sea Salt. Browse our free recipes for this and other tasty recipes.